East Lothian is proud to having one of only two Concorde's on display at The Museum of Flight. This museum is at East Fortune Airfield and has interactive galleries, supersonic experiences, historic hangars and even an assault course as well as 50 aircraft on display. The National Museum of Scotland in Chambers Street has many exhibits including historical, flora and fauna and landscape. It has galleries on Scottish history to the present day, the earliest cultures to space age science, prehistory to pop culture. The National War Museum at Edinburgh Castle where you can explore over 400 years of Scottish military experience. It displays uniforms, insignia and equipment, medals, decorations, weapons, paintings, ceramics and silverware, all of which throw light on Scotland 's military history, from world-changing events to the everyday life of Scottish servicemen. Edinburgh has many world class museums and Edinburgh City Council have a website which is dedicated specifically to Museums in Edinburgh. As well as large museums, Edinburgh has the world famous Writers Museum, just off the Royal Mile. 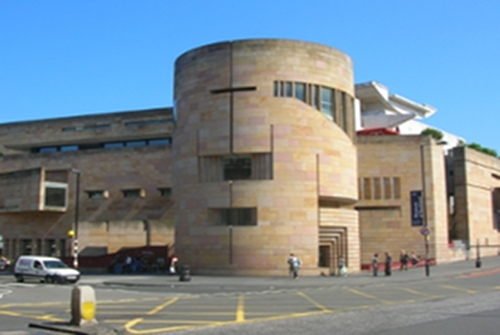 Edinburgh also has the City Art Centre which holds many fascinating exhibitions all year round and it is certainly worth checking out. It is also very close to the train station in the City centre. The Museum of Chidhood is on the Royal Mile and has a fantastic collection of childhood memorabilia.